At The Franklin Institute – Experience a unique, first-time look into the Pixar process, and explore the science and technology behind some of the most beloved animated films and their unforgettable characters with The Science Behind Pixar. 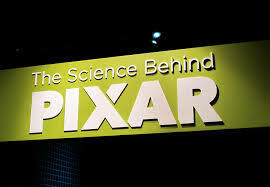 This interactive exhibition showcases the science, technology, engineering, and math (STEM) concepts used by the artists and computer scientists who help bring Pixar’s award-winning films to the big screen. With more than 40 interactive elements, the exhibition’s eight sections focus on steps in the filmmaking process to give you an unparalleled view of the production pipeline and concepts used at Pixar every day. Participate in engaging hands-on activities, listen to firsthand accounts from members of the studios’ production teams, and even come face-to-face with re-creations of your favorite Pixar film characters, including Buzz Lightyear, Dory, Mike and Sulley, Edna Mode, and WALL•E!